Funny Videos, funny pictures, funny tshirts and funny stuff. This is the place to come for a little pick me up. Laugh the day away at RickerWorld. Tell your friends!!! Will we see this sport in the 2008 Olympics? Borat - I Come To America!!! Borat Sagdiyev is sent from his village in Kazakhstan to make a documentary about America. What a guy! F-U-N-N-Y! I go to this site pretty much every day. I might as well share it with you guys... Trust me, you will thank me!! Leenks has new awesome links to funny stuff, gross stuff and hot chicks everyday. What more could you ask for!!! Teenage Mutant Ninja Turtles Movie !!!!! Coming March 30th 2007 !! Will Ferrel promotes his new movie Talladega Nights - The Ballad of Ricky Bobby, on the Daily Show with Jon Stewert!!! If you liked Anchorman or anything where Mr. Ferrel showcases his brand of comedy, then you'll like Talladega Nights !!! President Bush cast the first veto of his presidency Wednesday, saying legislation easing limits on federal funding for embryonic stem cell research "crosses a moral boundary." What do you guys think? 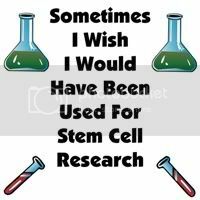 Should stem cell research be allowed in the United States of America? "This research holds so much promise to solving diseases that affect more than 110 million Americans," said Rep. Diana DeGette (D-Colo.), a leading sponsor of the bill in the House, which passed the bill last year. "Vetoing this bill is one of the greatest mistakes of his presidency." This funny t-shirt pokes fun at the whole stem cell research issue !!! 16,000 Firecrackers, bundled and hanging from a pipe pole. Forget rolling the whole roll out, it's better to just tape it together and let 'em all blow up!